From the original Global Partners of the YouTube FanFest, It’s a Girl Thing will bring an all female lineup of world renowned social stars to deliver powerful and insightful talks and performances, sharing their knowledge and experiences to inspire and empower fans as well as educate them on how to build a successful career in today’s socially connected world. The IAGT stars appearing on stage in Manila will also give away Meet & Greet and show tickets via their social media channels. 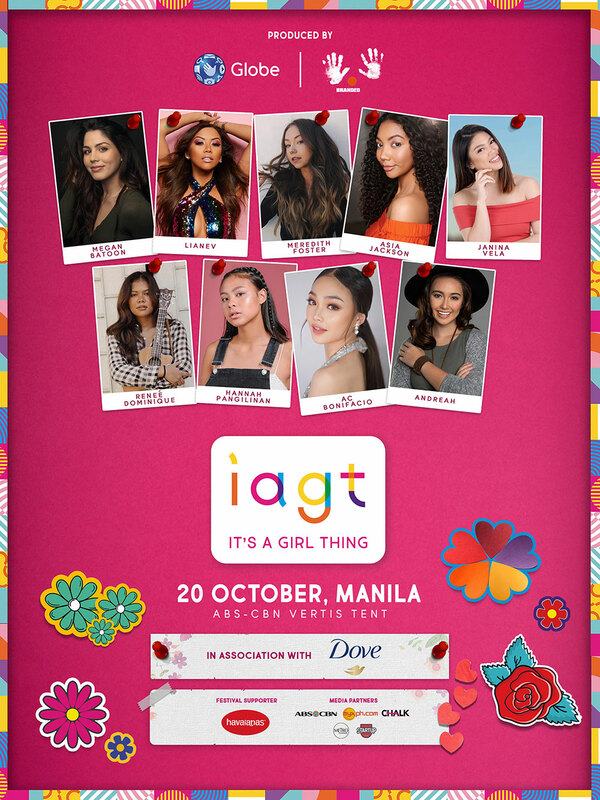 Stay tuned to itsagirlthing.live, glbe.co/globeliveiagt, @enjoyglobe on Twitter and your favourite IAGT stars' social media channels if you don't want to miss out! Check out the official itsagirlthing.live for more information.